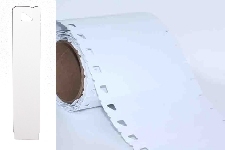 Our basket tags come 1,000 to a roll and are designed to fit most thermal transfer printers with a minimum 5" wide feed. 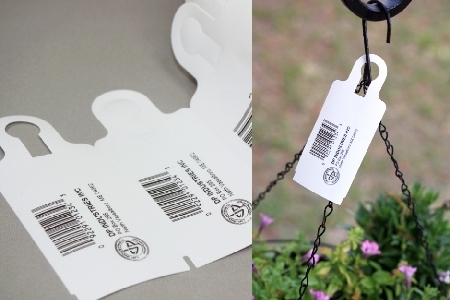 These thermal transfer tags can be marked with our "garden marker" pen as well. Email sales@dpind.com for information about colors other than white.